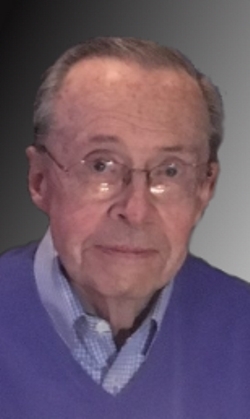 Donald J. McQueen, 80, a resident of the Highlands section of Lowell, passed away peacefully Friday morning March 22, 2019 at Lowell General Hospital. He was the beloved husband for 58 years of Marianne (Carufel) McQueen, who survives him. Born in Lowell, Massachusetts, February 9, 1939, son of the late Donald and the late Viola (Pilawski) McQueen Hodge, he attended St. Peter’s Grammar School and Keith Academy, Class of 1956. 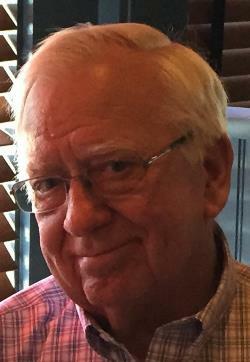 Don went on to attend Lowell Technological Institute (nka UMass Lowell) where he received his Bachelor of Science in Plastics Engineering in 1961. 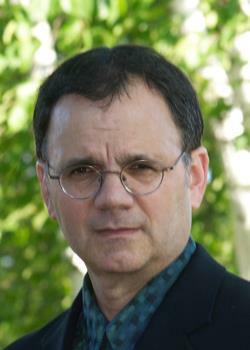 Later, he attained his Masters in Chemical Engineering from Lowell Technological Institute. Prior to his retirement, Don was a Program Manager for AVCO/Textron Defense Systems for over 30 years. A devoted husband and father, Don loved spending time with his family, especially his grandchildren. An avid reader, he enjoyed traveling with his family, vacationing in Wells Beach, ME and supporting all New England sports teams. Besides his wife, Marianne, Don is survived by his two daughters Marylou MacKenzie and her husband David of Lowell and Kathleen Sullivan and her husband Timothy of Lowell; three grandchildren Kaitlyn MacKenzie, Bryan MacKenzie and Liam Sullivan; a sister Elaine (Hadden) Drysdale of Charlottesville, VA; two sisters-in-law Judith Frongillo and her husband Richard and Martha DeSaulnier all of Chelmsford; and a niece and several nephews. Friends may call at the O’DONNELL FUNERAL HOME 276 PAWTUCKET ST. from 3 to 7 P.M. Tuesday. Relatives and friends are invited to attend his Funeral Mass to be celebrated Wednesday morning at ST. MARGARET OF SCOTLAND PARISH in Lowell at 10 o’clock followed by burial in St. Patrick Cemetery. E-condolences at www.odonnellfuneralhome.com. Those wishing may make contributions in his memory to Lowell General Hospital Cancer Center, c/o the Philanthropy Office 295 Varnum Ave., Lowell, MA 01854. Arrangements by Funeral Director James F. O’Donnell, Jr. (978) 458-8768. Rita (Lelos) Villaras passed away Friday March 15, 2019 with her beloved daughter at her side. She was the beloved wife of George E. Villaras who died on September 4, 1977. She was born in Lowell Ma, Daughter of the late Demetrios Lelos and the late Malamati Dinas. She Attended Lowell Schools. In the 1960's she studied at the Lowell Academy of Hair and worked in the hair industry up until the sudden death of her husband. Afterward she received her certification at UMASS Medical in Worcester and became Supervisor/Coordinator of the Central Sterilization Department at the St. Joseph's Hospital in Lowell, where she worked up until her retirement. A lover of all things to do with the ocean she spent time in Boothbay Harbor and Ogunquit Maine. She took pride in her home and cooking for everyone. She held court on the front porch on summer days where the neighbors loved to gather to enjoy many "Ritaisms." Rita leaves behind her loving daughter Melanie Villaras, her grandson Jay Starke and Jennifer Smith, her great-grandson Jason Starke, her dear brother John Lelos, her sister Amelia Stys, and her sister in law Maureen Villaras. 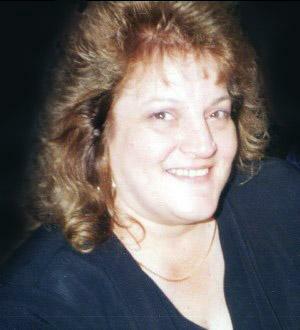 She was also the mother of the late Anastasia "Stacy" Starke and the late Joseph Edward Villaras. She was pre-deceased by her sisters Panagiota Nikolis and Athena Mileon and brother in law Byron Villaras and Irene Lelos. Rita's daughter would like to thank the compassionate staff of Palm Manor C-Wing, for their loving care and embracing us like family. Rita kept us laughing. In accordance with her wishes, there were no calling hours and all Funeral Services were held privately for her family. Burial took place at Westlawn Cemetery. E-condolences at www.odonnellfuneralhome.com. Those wishing may make contributions in her memory to the Hellenic Orthodox Church of the Holy Trinity, 62 Lewis St, Lowell, MA 01854. Arrangements by the O’DONNELL FUNERAL HOME, Lowell, MA (978) 458-8768. 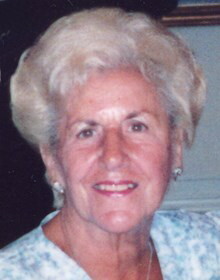 Teresa K. (Hayes) Hogan, 92, passed peacefully at Lowell General Hospital on Saturday, March 16th, in the comfort of her family. She is survived by her beloved husband of 68 years, Thomas P. Hogan of Lowell. Teresa was born July 3, 1926 in Lowell, Mass, a daughter of the late Timothy Joseph and Rita (Collins) Hayes of Lowell, MA. 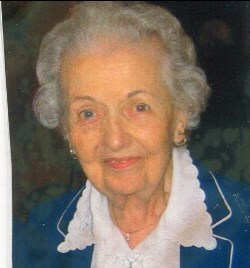 She attended Lowell schools and graduated from Lowell High, Class of 1943. Shortly after marrying Thomas in 1950, the couple moved to Syracuse, NY and then to Pittsburgh, PA. They came back to Lowell in the early 50’s, started a family and raised their four children in the house they still share. Once the children were all in school, Teresa returned to the work force and was a secretary at Greater Lowell Regional Vocational High School for many years. Upon their retirement, Tom and Teresa toured the country in their beloved motor home that Teresa named ‘Christy’. Teresa lived a full and independent life. She loved to converse, especially about politics, was a voracious reader and was a trend-setter in frequenting consignment shops! She was generous of heart and was always delivering a stew to a sick friend or neighbor or a baby present to the newest baby in the family or neighborhood. She was an advocate for those suffering with mental illness and was an active member of the Lowell Chapter of NAMI (National Alliance for the Mentally Ill). Besides her husband Thomas, Teresa is survived by her daughter, Maureen Hogan and her husband, Andy Riebs of York, Maine; her daughter Ann T Hogan of Malden, MA; her sisters-in-law, Sister Timothy Marie Hogan, Sisters of Charity (Halifax) of Wellesley Hills, MA and Liz Hogan of Buffalo, NY and numerous cousins, nieces, nephews and friends. She was pre-deceased by her two sons, Tom Hogan and Joe Hogan. Visiting hours will be held from 4 to 7 P.M., Thursday, March 21st at O’DONNELL FUNERAL HOME 276 PAWTUCKET ST. in Lowell, MA. Relatives and friends are invited to attend her Funeral Mass to be celebrated on Friday, March 22nd, at the IMMACULATE CONCEPTION CHURCH, 144 East Merrimack St, Lowell, MA at 11 A.M. with burial to follow at St Mary’s Cemetery in Tewksbury, MA. E-condolences/directions at www.odonnellfuneralhome.com. In lieu of flowers, the family requests donations to be made to the National Alliance of the Mentally Ill of Greater Lowell. 391 Varnum Avenue, Lowell, MA 01854. Arrangements by Funeral Director James F. O’Donnell, Jr. (978) 458-8768. Karen J. 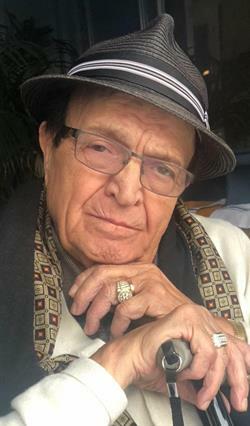 (Coffin) Courtemanche, 69, of Dracut, died peacefully, Friday, March 15th at Lowell General Hospital following a long and courageous battle with cancer. Born in Presque Isle, Maine, August 4, 1949, a daughter of the late Elmer Dana and the late Virginia Alice (Kinney) Coffin, upon relocating to Lowell, she attended Lowell schools and was a graduate of Lowell High School. Before recently retiring, Karen was employed as Manager of Joker’s Lounge as well as the Rally Cap, both located in Dracut for many years. Among her many activities, she loved cooking, playing cards and traveling. Her true passion, however, was family. 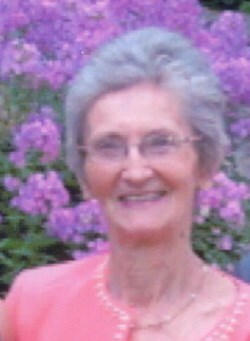 She cherished the quality time she was able to spend with her children and grandchildren. Karen is survived by her two beloved sons H. Jarrod Courtemanche and his wife Bonnie of Westford, MA and Jason Leo Courtemanche and his wife Monique of Chelmsford, MA; eight grandchildren Connor J., Marcus A. and Seth D. Courtemanche and Jared, Max, Trey, Cory and Caya Hansen; a sister Darla Scott of Tyngsboro, MA; three brothers Jere Delano and his wife Kay of San Antonio, TX, Kendall Coffin of Pittsburg, PA and Byron Coffin and his wife Julie of Brookline, MA; many sisters and brothers-in-law of the Courtemanche family; many nieces, nephews, grand-nieces and grandnephews, among them Matthew Scott and his wife Julie, their children Aaron and Ethan and Sheryl Hartwell; her dear friends Ed Morgan and Ashley McCluin; and a special thanks to Susie and Sierra Wasserman who were always so helpful and like family to her. Family and friends may call for a Memorial Visitation at the O’DONNELL FUNERAL HOME, 276 PAWTUCKET ST. at Fletcher from 4 to 6 P.M. Friday immediately followed by her Celebration of Life at Joker’s Lounge, 135 Stewart in Dracut. E-condolences/directions at www.odonnellfuneralhome.com. In lieu of flowers, donations may be made in her memory to the Muscular Dystrophy Association National Office, 161 N. Clark, Suite 3550, Chicago, Illinois 60601 or online at mda.org or Autism Speaks, 1060 State Road, Second Floor Princeton, NJ 08540 or online at autismspeaks.org or the American Cancer Society, 30 Speen St, Framingham, MA 01701 or online at cancer.org. Arrangements by Funeral Director James F. O’Donnell, Jr. (978) 458-8768.